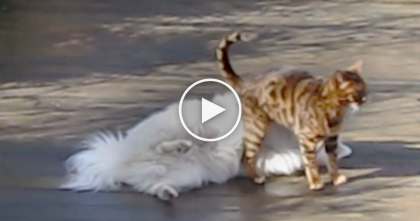 Dog Tries To Come Inside, Now Watch What The Cat Does… Size Doesn’t Matter, Cats RULE. This 5 LB cat knows how to defend his space, even if its 50 LB boxer dog. 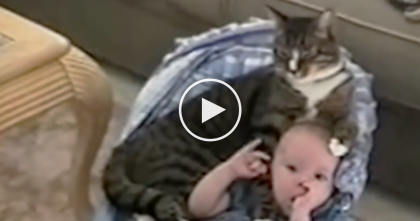 It doesn’t matter what happens, this cat demands respect even by someone who is 10X his size! “Thou shalt not pass…” You can almost hear this cat speaking through his eyes and doggie knows he means business! 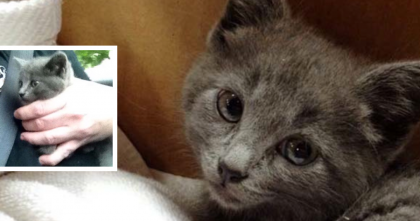 Man finds adorable kitten on a three lane highway and rescues her, awwww!! 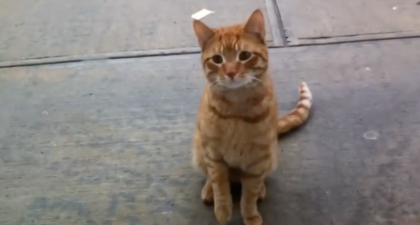 Cat Gets In Fight With Dog, Starts Cleaning Him, But Then… OMG, Did He Really Just Do That?! They Put A Blow Up Float In The Pool. 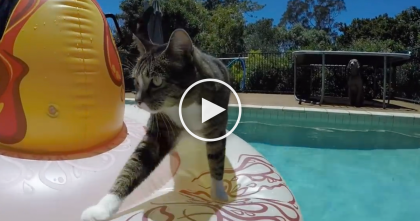 When The Cat Notices, Keep Watching… WOW!